Given today’s tragic significance to our nation’s military, most specifically our selfless Special Operations community, I have decided to announce the results of the donation campaign surrounding the launch of my latest book, Black Flagged Vektor. Fictional, yet accurate renditions of service members, (particularly our Special Ops heroes) figure prominently in my novels, so I thought it only appropriate to split my target donation amount between two groups that best represent our nation’s finest. 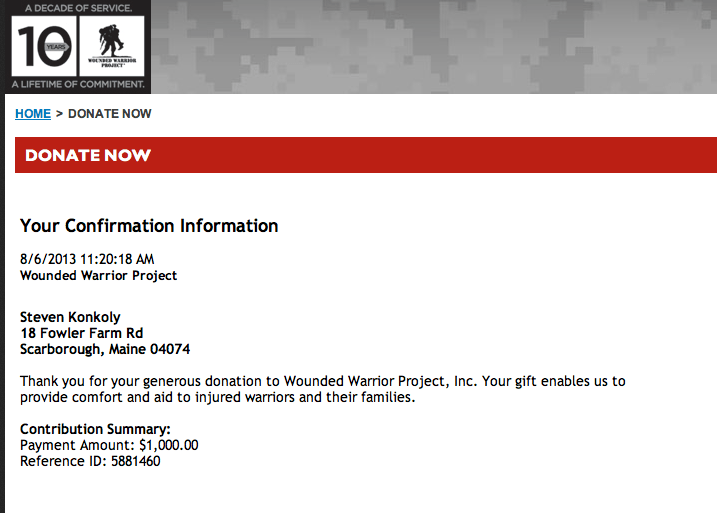 I have donated $1000 to the Wounded Warriors Project and $1000 to the Navy SEAL Foundation (my military roots begin with the Naval Special Warfare community). Both of these amounts will be matched, bringing the total to $4000. This brings the total amount given to these (and other) worthy Veteran’s organizations to $11,000 over the past two years. Your support of my books has made this possible, so please accept my sincerest and most enthusiastic THANK YOU! Spread the word, and lets continue to support dedicated, heroic men and women that TAKE THE FIGHT TO THE ENEMY. Historical Background: Two years ago, on August 6th, 31 Special Operations service members were killed when their transport helicopter brought down by enemy fire. They were on their way to reinforce a unit of Army Rangers engaged in a brutal firefight nearby. Six years earlier, in late June, 19 Special Operations personnel were killed during Operation Red Wings, when a Quick Reaction Force helicopter was shot down during the rescue attempt of an overwhelmed SEAL patrol, killing all on board. Three of the four SEALs in the patrol were also killed that day. Thank you so much, Steven, for your support of our troops, via thought, word, and deed. As the widow of a veteran, and a member of the American Legion Auxillary, I can’t thank you enough for keeping veterans and their needs in the public eye. You are a true American hero. Thanks for your donations to the WW and the Navy SEALS. Your money couldn’t go to a better group of warriors.